Mar 24, 2016 Because you have chosen to remain anonymous we are unable to review your account and address your concerns. Should you wish to have us resolve your issues, we recommend that you call our Customer Advocacy Group at 1-800-607-0419, or via email at cagsupport@greathealthworks.com. 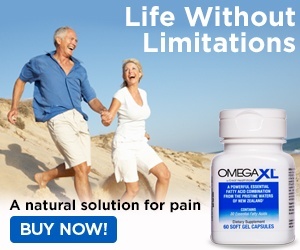 These OMEGA XL people are liars and crooks! I called the only phone number they give to unsubscribe from their auto-reorder program! They said I had to wait 18 minutes. That took 45 for someone to finally answer. They told me that because I signed-up on line, they could not unsubscribe me and that they would put me in touch with their "on line" group, withour having to wait a long time. These liars put me into another "hold que" that lasted over 1 hour. I am still on hold. The people from OMEGA XL are trying to hide their bad business practices. Review #518063 is a subjective opinion of User518063.